"This event is a tribute to Mody , one of the pioneers in Bonsai Art in the Philippines. Mody still teaches Bonsai at his garden in University of the Philippines Diliman, Quezon City every Saturday. I first met Mody almost 20 years ago when my wife Ana joined the Bonsai Society. He was the one who taught us and so I am very happy to see him again today. 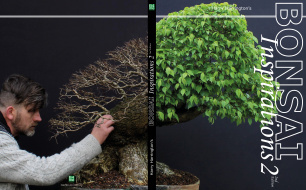 This is truly a tribute to him, he who never tires teaching the Bonsai Art to anyone who comes to his garden."